Time for a Home Redo Today? The best in Portland custom builder is C&K Custom Remodeling Inc. We provide kitchen, bathroom, whole home remodel and improvement, design, and upscale remodeling services. Need an addition or accessibility for a loved one? C&K can help you design your project or bring in one of our design partners to create the perfect home for you. Portland Remodeling by C&K Custom Remodeling Inc.. We are providing kitchen, bath, home remodel and improvement, design, remodeling and Upscale remodeling services. 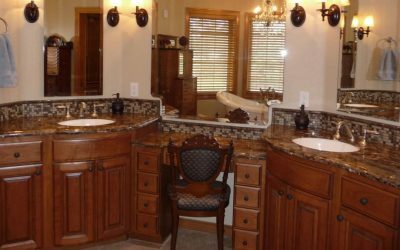 You will enjoy working with our team of Contractors our entire team is made up of skilled craftsmen in their own fields, and every member is certified by C&K Custom Remodeling Inc. for professionalism, craftsmanship, and attention to detail. There is really no secret formula for why we are great at what we do. We hire the best people and give them opportunity to grow. We invest in the best tools, use the best techniques, and constantly research our field so we remain competent in our field. We know how important trust is in a business relationship. This is one of the reasons why so many of our clients keep coming back to us and send us referrals. Our clients value the relationship we build with them and recognize our commitment to quality. Our Clients Give Us Five Stars! After meeting with 3 different contractors we knew Lloyd was the right person for our job. The professionalism, integrity and workmanship is above reproach. Mark, the project manager was with us every step of the way and was a great fit for us. We started every week with a 2 week timeline so we knew what to expect. We will definitely be hiring Lloyd and his team again for phase 2, the master bed & bath remodel. Thanks C&K for my dream kitchen & downstairs face lift!! First class service is what I got from C&K. Lloyd was professional and timely. He was interested in what we wanted and worked late when needed. When facing big, expensive renovations, a homeowner needs to know that the contractor cares about the job and that is how I felt in my dealings with Lloyd. Making sure things are done right with the right permits is worth it. I hired Lloyd for a small kitchen project involving removing a section of countertop so my new range would fit better. He did a great job of explaining how he would do the project and what potential risks there might be to my existing tile. He showed up on time and finished the project far more quickly than expected, then stayed to help reinstall and level the new range. He definitely has an eye for detail, as he made sure the range was as well-fitted as possible. I will definitely consider him for a future remodeling project! From the very first initial phone call to the end of the project C&K Custom Remodeling Inc. was fantastic to work with. They transformed my ordinary blah bathroom to a beautiful space. Everyone associated with the team was professional, friendly, and easy to work with. They take pride in their work and their workmanship is of the highest caliber. I was very happy with the entire remodeling experience and can attribute that to Lloyd and his team. I wholeheartedly recommend C&K Custom Remodeling Inc.
We were in search of a contractor that would understand our design ideas and be able to execute them to perfection. We needed walls to be moved, floors to be installed, a bathroom to be gutted, plumbing to be completely redone and our vision to be understood. Lloyd and Mark and their sub-contractors were exactly who we were looking for. They did a superb job with our bathroom and bedroom remodel. Attention to detail, quality workmanship and an overall great experience are some of the key points we retain from the work C&K Custom Remodeling executed in our home. We could not be any happier with the end result. They are truly experts in their field. We HIGHLY recommend them...you will be amazed. We recently remodeled our master bath with C&K Construction. From start to finish, they provided great customer service, attention to detail and a strong work ethic. We were comfortable and impressed with all the subcontracted partners involved. Everyone was hardworking and committed to a beautiful end product in the most timely manner possible. We would definitely use them in the future. C&K Custom Remodeling in Portland did a great job remodeling our bathroom. The changes we requested were done with ease and no complaints. We recently completed a remodel of our main bathroom in the house. After searching and interviewing contractors, we decided to work with C&K. We were very glad we made the right choice. Lloyd was an excellent contact person for us. He answered all of our questions (we had a ton!) and worked with us to make smart decisions in selecting materials and layout. Everyday the site was cleaned, well-managed, and the project turned out better than we had hoped. We are a Stone Counter Fabrication company (Milan Stoneworks) and have worked with C&K for years. It has been our experience with Lloyd and Mark that they are very much on top of their game. We can consistently expect that each and every job we do with them will be completed in a timely fashion with little to no fuss. 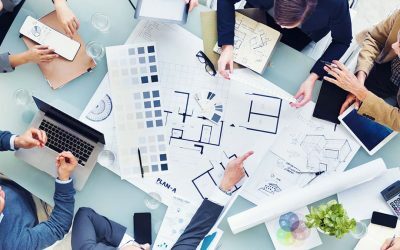 From communication to scheduling, the projects run very smooth. The quality of workmanship, attention to detail and customer communication is excellent. C & K is one of our favorite contractors to work with and we HIGHLY recommend them for your project. C & K have strict guidelines for each and every one of their subcontractors which shows their commitment to providing their customers with Top Notch work and ensures their customers are treated with the utmost respect. Great Work Did some really great work, and really easy to work with! Response from the owner: Thanks, it's always great to work with great people. Lloyd and his team did an extensive remodel of our kitchen. 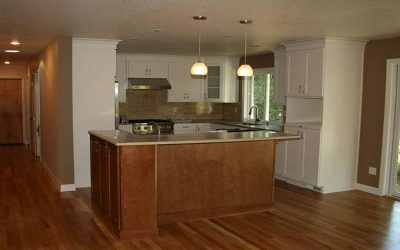 Removed a wall, installed a steel beam, custom cabinetry, custom lighting, refinished floors, painted, installed appliances. His project manager was on site every day over the course of the project to oversee all of the subs and he was such a gem. He became an extension of our family. All the teams that they brought in were respectful and kind to our family. They cleaned up after themselves every day. Even with a project this large, his team was able to meet our tight timeline (6 weeks!) to get us finished before a shower I was hosting. They were responsive to all our requests and provided us with a two week timeline at the beginning of every week. We always knew what to expect. Thank you all for getting my house repaired. The leaks were driving me crazy, not to mention the damage to the walls. Lloyd your awesome at your trade. Thanks so much. This was another great experience. We hired C&K previously and as always the process went smoothly and communication was excellent. The quality of workmanship and professionalism is unmatched. I recommend C&K to everyone considering a remodel to their home. This is a company that values their reputation and they all work hard to please the customer. Their honesty is above reproach. Recommend them very highly I had LLoyd and his crew (Mark) do a basement remodel. They were fantastic. I can't imagine a nicer group of people to work with. They were very professional but also friendly. The workmanship was excellent and the finished room is wonderful. I recommend them very highly. I was worried about the cost of the repairs on my home. Lloyd walked me through the project with ease and made sure it fit my budget! Talented Team We hired Lloyd and his talented team to update our kitchen. Lloyd is knowledgeable, professional, and a great listener. He was here every day, making sure the work was up to his exacting standards. All the subcontractors involved were courteous and committed to doing good work. The painters and cabinet maker were top notch, proud of their work and it shows.We are very pleased with the outcome and highly recommend C&K Custom Remodeling. Thank you for the great review. It was a pleasure working together and I am looking forward to your new project. Lloyd and his amazing team transformed our blah and rather dingy townhouse into a beautiful, warm space filled with light. The remodel exceeded my expectation, I am absolutely thrilled with the result and grateful for the excellent work and commitment of C&K Remodeling. They adhered to the schedule and budget, communicated openly and honestly, and are completely trustworthy. My husband and I were out of the country during a critical phase of the remodel and everything went like clockwork. Lloyd uses only the best which means all aspects of the project are at his high level of excellence. And Mark is the most wonderful project manager imaginable; he made me feel confident and helped me through all the decisions (and there are so many) and the whole process. If you are going to remodel, call C&K Remodeling and you will be so happy. Our bathroom remodel was Superb! C&K were professional in every aspect of our bathroom remodel. Lloyd and his subcontractors communicated with us throughout the remodel, and any problems that arose were quickly evaluated and fixed. Lloyd and his bathroom designer helped us choose a bathroom design that mirrored our tastes and complemented the rest of the house. It was a painless experience. I would highly recommend doing business with C&K. Response from the owner: Thank you for trusting us in your home. We recently completed a remodel of our main bathroom in the house. After searching and interviewing contractors, we decided to work with C&K. We were very glad we made the right choice. Lloyd was an excellent contact person for us. He answered all of our questions (we had a ton!) and worked with us to make smart decisions in selecting materials and layout. Everyday the site was cleaned, well-managed, and the project turned out better than we had hoped. We will use C&K again! Response from the owner: Andrew, I really appreciate you selecting my company and the project turned out great. I have photos of your project on our website. Among remodeling companies that do the highest possible quality work using high end materials their price is not moderate, but it is competitive with other top quality remodeling companies. I selected high end because High end best describes the customer that would hire C&K. Lloyd made our kitchen remodel look so fabulous. Lloyd is very talented, and his workmanship is precise and well done. Thank you for everything Lloyd! The kitchen remodel exceeds my expectations. There when we need I'm a General Contractor and I call Lloyd when I have remodeling questions or need to know the right way to install something Response from the owner: thanks Chad, its a pleasure working with your company. We needed to repair a rental house we had and prepare to put it on the market. We hired Lloyd with C&K Custom Remodeling. Lloyd fixed our house exactly the way we wanted. The house looks better then it ever did If you are thinking of moving, or repairing you home and selling it, I would recommend C&K. Thanks! Lloyd was very knowledgeable and I appreciated his honesty and willingness to try the least expensive option. Lloyd did an excellent job on repairing our ceiling. Did some really great work, and really easy to work with! Response from the owner: Thanks, it's always great to work with great people. I had LLoyd and his crew (Mark) do a basement remodel. They were fantastic. I can't imagine a nicer group of people to work with. They were very professional but also friendly. The workmanship was excellent and the finished room is wonderful. I recommend them very highly. I'm a General Contractor and I call Lloyd when I have remodeling questions or need to know the right way to install something Response from the owner: thanks Chad, its a pleasure working with your company.